*(Via iDateDaily) – Entrepreneur/former Roc-A-Fella records CEO Damon “Dame” Dash recently interviewed with Hip-Hop Motivation to discuss Solange and Jay-Z’s elevator fight, Black business dysfunction, and his reaction to allegations that Jay-Z approached his ex-wife Rachel Roy in a “suggestive” manner, causing Solange to flip out on him. After cracking jokes about Jay-Z’s “uncool moment” during the attack, Dash said he found the entire incident to be funny. “He just doesn’t have very many uncool moments,” Dash said of Jay-Z. He said if he were Jay-Z, he’d also laugh at the incident because every guy has been through moments when a woman has flipped out on him. Dash also added that he thought the incident was also “interesting” to see how good Jay-Z is at playing things off. Just moments after Solange kicked, punched, and slapped him in the elevator, he calmly stepped in front of paparazzi and got in a separate car from his wife and sister in law. Additionally, Dash says that Jay-Z always has to be aware of his demeanor because he depends on corporations to pay him based upon his relatively clean-cut image. Although Dame appears to be in a jolly mood throughout the interview, his demeanor becomes a bit more stern when he addresses rumors about Jay-Z allegedly trying to “holla” at his ex-wife Rachel Roy, which is what allegedly made Solange upset. 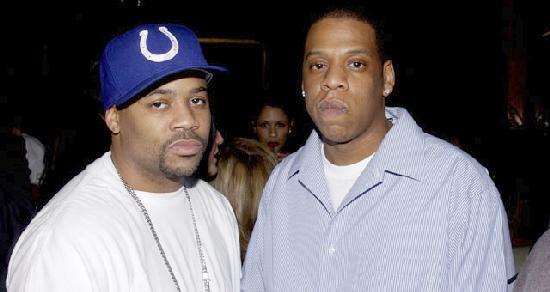 Hmm … read/watch what Dame Dash had to say about Jay Z at iDateDaily. What’s done in the dark will come to the light. Stay tuned.